Digital payments and online banking represent a very useful tool for making purchases and investments quickly and efficiently. Their diffusion is constantly growing in Europe as much as in Italy, where they reached the overall amount of 220 billion euros spent in 2017 (growing by 10% compared to 2016, according to the Polytechnic of Milan): an increase in large part due to the success of the most innovative payment solutions, via smartphone (+ 60% in 2017) and e-commerce (+ 16% in 2017). However, in the rest of Europe, the habitual use of these new payment methods is more widespread than in Italy, up to three, four times more frequent in a single year. Bankitalia confirms the attachment of Italians to their cash, also reiterated by the European Central Bank, according to which Italians pay 86% of revenues in cash against only 14% with other solutions such as ATMs, credit cards, wire transfers, RID and checks. 60% of this last percentage derives from the use of cards. This shows that, although with a certain slowness, the use of cash in Italy is destined to fall in favor of debit cards, suitably connected to the various digital payment services. For this reason, even Bancomat, the Italian leading company in the credit card field, is ready for a market breakthrough. After all, the use of new payment solutions has increased especially thanks to a strengthened opinion of safety and protection about them. 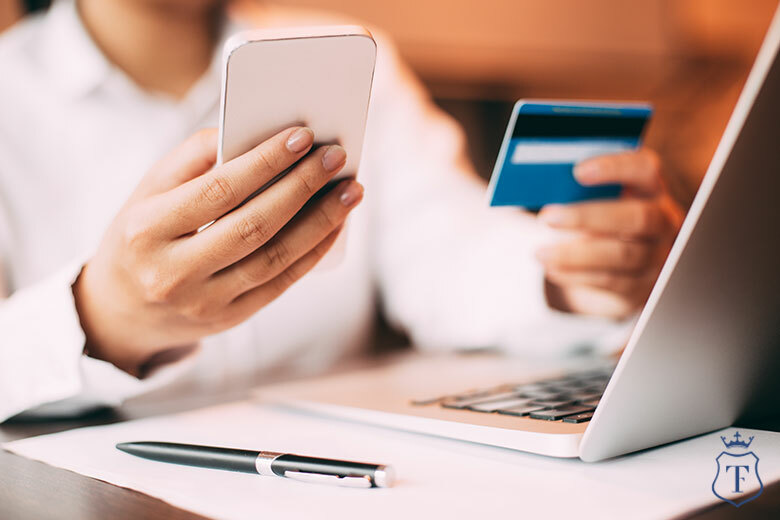 Consumers have more and more ways to keep themselves informed about the latest and safer online payment services released by banks and other players. The means to defend one’s own savings from fraud attempts are now many and able to guarantee absolute reliability during online purchases. What are the new trends in the online banking market? The most recent innovations point to the use of debit card for “m-proximity” and “m-payment” transactions, ie purchases made via mobile phone, through app. In Italy, future payment methods to the Public Administration is also a matter of great attention: if when the PA will facilitate digital payments, it could give a decisive drive to the reduction of the use of cash in favor of cards. Online baking, digital payments, via app and credit card, in total security, Trustcom Financial offers it all: contact us and discover all the opportunities for you and your company for the management of savings and investments.